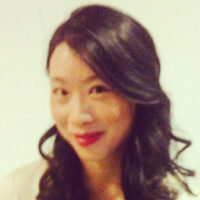 Judy Hu is the director of business development at Hyperfair, Inc., which offers cross-platform social virtual reality environments to enterprises. What advice do you offer women interested in VR? Hu: I think virtual reality is really interesting. Obviously, virtual reality is something that is perceived as very technical and maybe the idea is that women are less inclined to delve into this kind of thing. 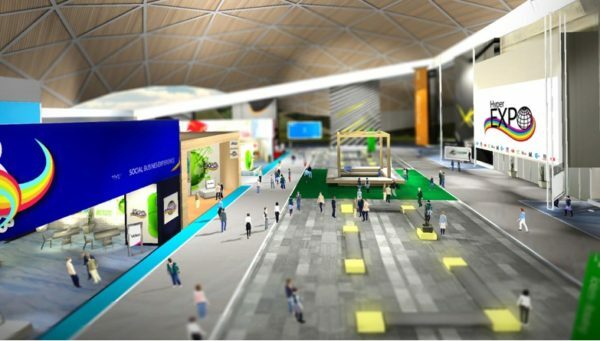 To that extent, Hyperfair creates value to the user by simplifying the VR presence building experience to the extreme, because it removes completely the technical aspect of coding, making the user instead choose from a list of customizable templates, easily personalized through an add and drop mechanism. I think that virtual reality is definitely going to be a game-changer for marketing, sales, collaboration and any kind of communication that goes from a company to outside. I think this is a great opportunity for women to explore different ways of engaging communities using virtual reality. You are the director of business development at Hyperfair. Can you tell me more about the company? Judy Hu: Hyperfair is a self-service platform for social virtual reality for the enterprise. That means two main things. Social VR means that it allows people to interact in virtual reality and be able to engage with others, chat and talk. The platform is self-service and runs on a SaaS model, and this also means that it allows businesses self-create their virtual reality environment in a few easy steps and customize with company digital assets. It is not a gaming platform but a platform for people to do business in VR. Hu: We worked on so many different projects across so many areas and industries: architecture, finance, design, enterprise, etcetera. Consider that Hyperfair is like a SaaS platform and one thing that is really important is that it allows businesses to sell, to create their own environment. This means that companies can showcase, market and sell their products in virtual reality via interacting avatars. Through its SaaS VR solution, companies can build their social VR presence to do sales and marketing in VR. Hyperfair is like a customer engagement platform in VR. What kind of projects can be done on Hyperfair? Hu: Hyperfair is cross-industry which means it is good for any business that wants to leverage VR for marketing and sales. It is a technology that allows any business that wants to do sales and marketing via virtual reality, also businesses that want to engage customers in virtual reality can use Hyperfair. We have three main products: the VR Site, the VR Branch and the VR Hub. The VR Site is a 3D immersive virtual reality place for direct marketing and sales connected to the company website and accessible via web and in VR. With a VR Site, companies can make their website available in 3D and virtual reality. They can use the VR Site as a virtual reality store, showroom or office. The VR Branch is a larger virtual reality space where companies can showcase their products and services, organize the environment in different areas or departments. The VR Branch delivers the intimacy and cross-sell, up-sell capabilities of a brick and mortar branch through avatar-based interaction and real-life presence. It provides a great opportunity for events, marketing, sales, customer care, meet-ups and engagement. The VR Hub is a multi-purpose virtual environment providing a range of opportunities to engage an industry community. Companies can sell virtual booths and drive engagement with virtual events such as shows, expos and training. A VR Hub can serve as an industry permanent marketplace and companies can monetize by hosting 3rd party advertisements and by selling virtual booths to other businesses. Hu: Working to become number one for SaaS VR for the enterprise.